Dubai: The alumni of India’s Aligarh Muslim University (AMU) are threatening to boycott their Founder’s Day after two separate events were announced in the UAE to mark the birth anniversary of the 19th century educationist Sir Syed Ahmad Khan. 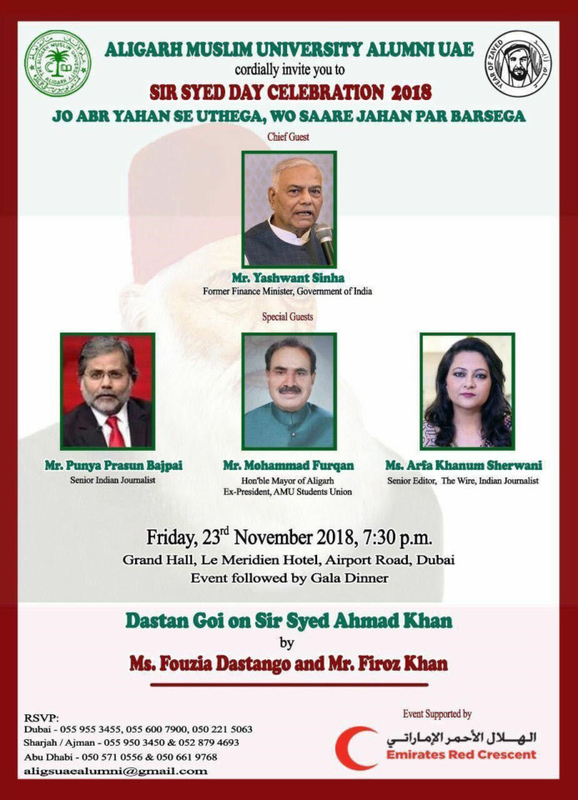 Curiously, both celebrations will take place on the same evening — never mind it’s more than a month after the actual Sir Syed Day which falls on October 17. 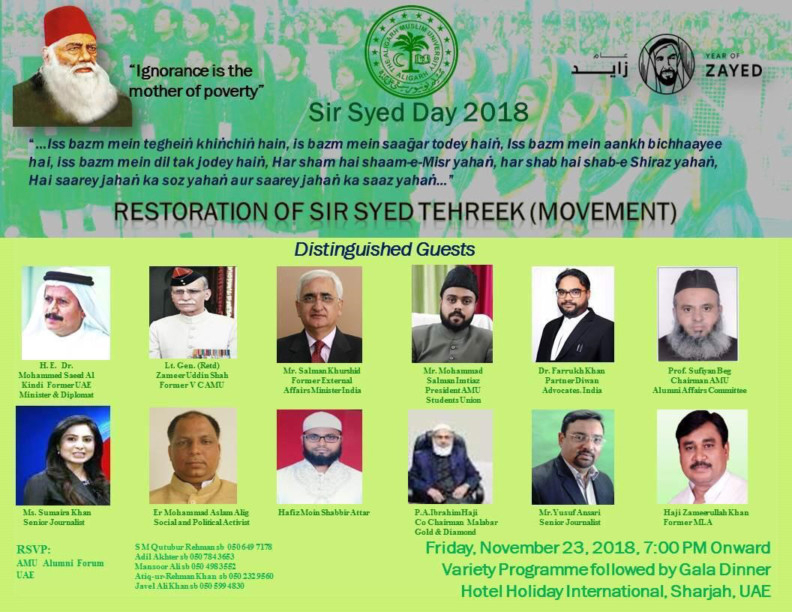 While the Aligarh Muslim University Alumni will host Sir Syed Day at Le Meridien Hotel, Airport Road in Dubai on November 23, the AMU Alumni Forum will organise the event at Hotel Holiday International in Sharjah. There are nearly 5,000 AMU alumni in the UAE and over 20,000 in the GCC. Former students of the university said it was time the two alumni associations joined hands and held a common event. 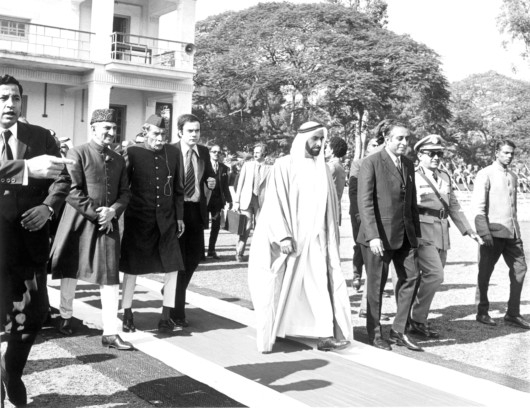 Dubai resident and Ex AMU court member (1990) Farrukh Kidwai said the Founder’s Day should be held under one banner. “AMU is not just a university, it’s a symbol of brotherhood and unity. What is happening here is contrary to the spirt of the university,” he said. Another Dubai resident, Mashkoor Hasan, who graduated from the varsity in 1983, said he won’t attend either of the programmes. “It’s bad enough that two Sir Syed Days are being held, they are now on the same date too. UAE is perhaps the only country in the world where this is happening. I have spoken to the office bearers of both associations and expressed by strong resentment,” said Hasan. “A university’s Founder’s Day is meant to unite students, not divide them,” he added. Similarly, 2003 engineering graduate Imtiyaz Ahmad said he will also stay away from the celebrations. 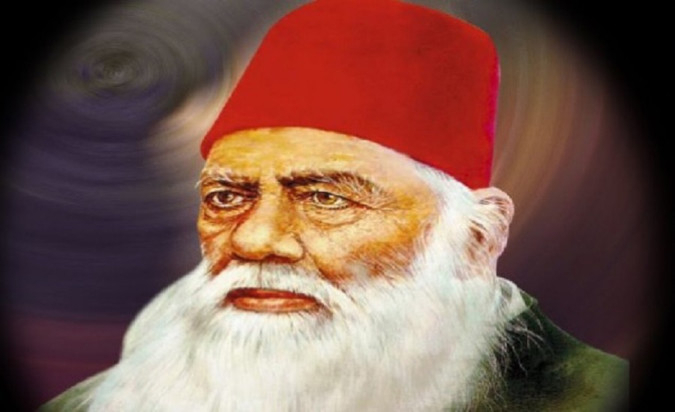 “Sir Syed Ahmad Khan spent his whole life serving the Muslim community. It’s a pity that people from the same community are fighting in his name. They are defeating the very purpose Sir Syed stood for,” said the Sharjah resident. Abu Dhabi-based Fayaz Ilahi, who works for an oil and gas firm, said he was pained to see Sir Syed Day functions being turned into a mockery. “This doesn’t bode well for the community and projects a very bad image,” he said. Meanwhile, Khursheed Yusuf, one of AMU’s oldest pass outs in the UAE, has called on the alumni to boycott both events. In an email sent to AMU alumni, popularly known as Aligarians, Yusuf said it was “highly shameful” that the AMU fraternity would be celebrating two Sir Syed Day functions on the same day and at the same time barely 20km apart. “If we are not been able to give anything to AMU and the society, we have no right to tarnish its stature which has been built over 145 plus years,” reads the terse email from Yusuf, who joined AMU in 1967 and graduated with a degree in mechanical engineering in 1974. “When this is the time for us to understand our responsibilities and overcome challenges, we stand divided in full public glare,” he said. According to Yusuf, the groups behind Sir Syed Day events were repeatedly told not to hold separate events but they “ignored the advice because of their petty agendas”. On his part, Syed Qutubur Rahman, president AMU Alumni Forum denied any wrongdoing. “We were persuaded to host Sir Syed Day celebrations in the UAE because until mid-October there was no one willing to do it. However, days after we announced our intent on Facebook, the other group also came forward saying they want to host the event as well. I met their office-bearers on October 29 to thrash out a solution and possibly do a joint event. But it didn’t work out because of differences over the guest list. Haroon Akmal of Aligarh Muslim University Alumni said as the parent alumni body it’s they who have been organising the event for several years and there was no reason why they wouldn’t have held it again. “In fact it’s we who announced the date first. But the other group decided to play spoil sport by hosting their own event on the same day. What their office-bearers are claiming is not true,” he alleged. Syed Ahmad Taqvi Bin Syed Muhammad Muttaqi (October 17, 1817-March 27, 1898), commonly known as Sir Syed Ahmad Khan, was an Indian philosopher of nineteenth century British India. In 1875, he founded a school which later went on to become the Aligarh Muslim University (AMU). 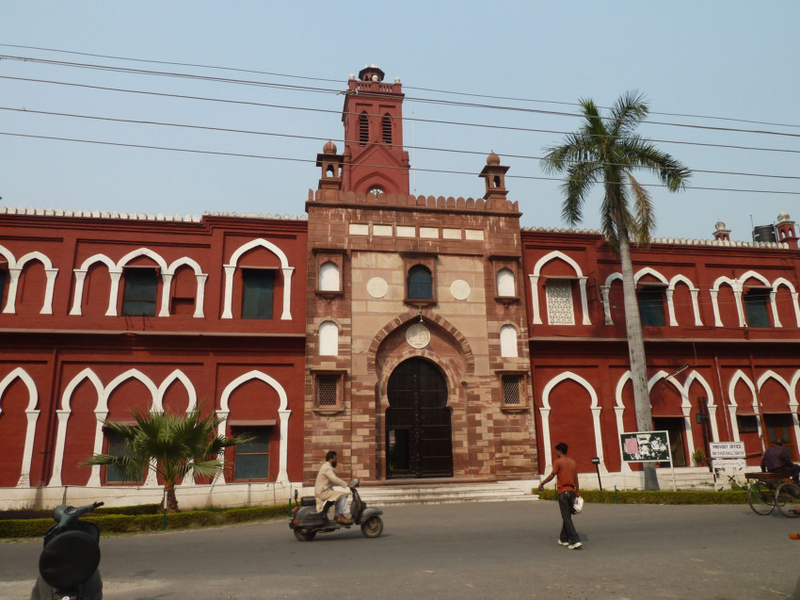 Located in the northern Indian city of Aligarh, AMU has around 30,000 students the majority of which are Muslims. Sir Syed Day is celebrated by Aligarh Muslim University (AMU) and its alumni every year on October 17 in the memory of its founder.